← Don’t dare Mad Mike — he would take you up! For the children? Think further out! Henry .357 carbine. Revolver ammunition does well in longer barrels. This entry was posted in camera and lens, rifle, weapon and tagged 357Mag, Henry, lever action. Bookmark the permalink. 1 Response to For the children? Think further out! I’ve had a Henry Golden Boy in .22 WMR on my wish list for too long. Something else keeps pushing it out of the top spot. I really need to pull the trigger on one once and for all. 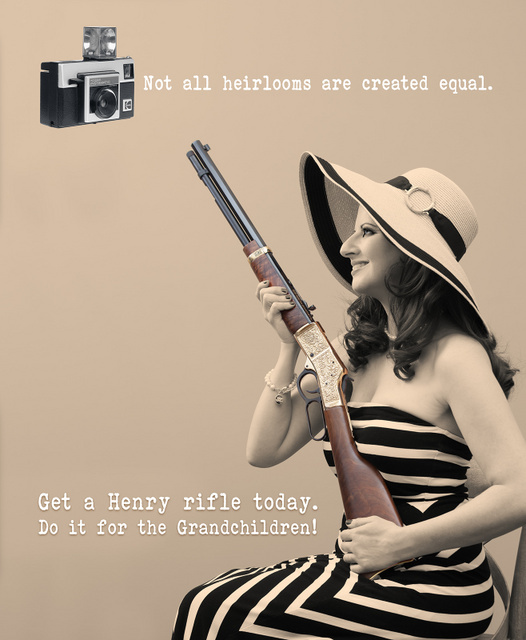 The “fondle factor” on Henry rifles make them irresistible.